According to a report from the Association for Healthcare Philanthropy (AHP), that is an 8.2 percent increase over the previous year. The recent numbers continue a trend that started in 2010 when non-profit hospitals saw an eight percent rise in donations compared with 2009 to more than $8 billion. Individual donations totaled nearly 60 percent of that amount, according to the AHP. That was a significant increase over 2009, when donations fell 11 percent or $944 million. During 2011, the cost of fundraising rose to 31 cents per dollar collected, a two percent rise over the previous year. Healthcare systems raised $3.24 for every dollar they spent. University-connected hospitals were the most prolific, with $7.58 raised for each dollar spent. Approximately 19 percent of donated funds supported community benefits and charity care; an additional 8.6 percent funded training and research. Annual giving was the primary fundraising source, followed by capital campaigns and special events. Approximately 70 percent of money raised was in the form of cash contributions, while the remainder was pledges primarily in the form of bequests and planned gifts. Susan J. Doliner, chair of the AHP board of directors, notes that “It’s interesting to see that the funds raised continue to be predominantly in support of construction and renovations, equipment and program operations. Stay tuned, as this finding shines a light on the future gap in resources healthcare organizations will face as we begin the implementation of new healthcare financing models.” The uptick in donations is good news for hospitals and healthcare systems working to accommodate millions of new patients when the Patient Protection and Affordable Care Act (ACA) becomes fully effective in 2014. At present, healthcare systems are relying on capital campaigns to finance new construction rather than bank loans or other debt. Only 17 percent are using debt, a decline from the 20 percent reported in 2010. Another 42 percent are financing new facilities with cash reserves. The use of tax-free bonds is at its lowest level in six years, comprising just 21 percent of new construction financing. Ryan says that under his plan, the government’s contribution toward premiums will equal the cost of the second least expensive plan in any market — or traditional Medicare — whichever costs less. Ryan believes that his plan is politically feasible because it doesn’t begin until 2022 with the result that it retains traditional Medicare for Americans who were 55 and older in 2011 — meaning that baby boomers are exempt from the changes. Democrats who oppose the plan contend that Ryan’s Medicare overhaul would subject seniors to the vagaries of the private market, leaving them with little protection against rising premiums and negligible benefits. So what is the difference between the Democratic and Republican cuts to Medicare? The ACA stresses government control and central planning. The law creates a panel of 15 unelected government officials, called the Independent Payment Advisory Board (IPAB) to direct changes that will shrink spending by cutting physician and hospital reimbursement. The Wyden-Ryan plan preserves the ACA’s targets for future Medicare spending, but uses competitive bidding. Seniors would have the same benefits that they do now, and would have the option of choosing from several government-approved private insurance plans. The Republican budget targets Medicare growth of GDP plus 0.5 percent, just as the 2013 Obama budget does. The difference lies in the fact that the GOP budget repeals the ACA, while maintaining that law’s Medicare cuts. The Democratic budget leaves the ACA in place. If Ryan’s plan is enacted into law, people 55 and younger would see a change from one in which everyone gets the same set of government-paid benefits to one in which the government gives all senior citizens a fixed amount of money. They could use this to purchase private insurance or pay a portion of the cost of enrolling in traditional Medicare. Ryan has not said how much the premium support payment would be. But he would limit the annual growth rate to no more than one-half percent more than the economy’s overall growth rate, even though healthcare costs are rising at a significantly faster pace. Ryan’s plan would also raise the Medicare eligibility age to 67 from 65 by 2034. Even in the age of advanced healthcare directives and living wills, Americans still must cope with a dilemma when it comes to end-of-life healthcare for themselves or their loved ones. Consider the fact that Medicare pays as much as $55 billion annually for physician and hospital bills during the last two months of patients’ lives. That’s more than the budget for the Department of Homeland Security, or the Department of Education. Estimates are that 20 to 30 percent of these medical expenses usually have no meaningful impact. The federal government pays for a majority of the bills with no questions asked. 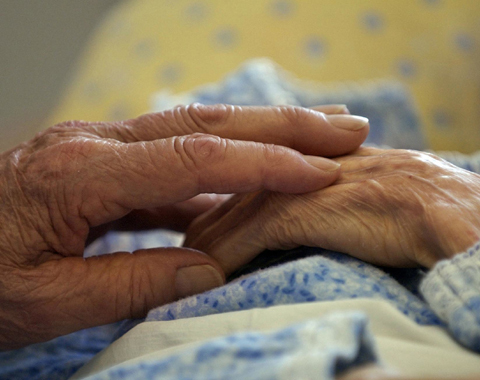 Medicare spends nearly 30 percent of its budget on beneficiaries in their final year of life. Given this information, the question is whether extending someone’s life is worth the money it can potentially cost. The solution potentially could have been a snap for Congress when it passed the Patient Protection and Affordable Care Act (ACA). Unfortunately, the previously bipartisan issue quickly became a political hot potato. Over-treatment, according to Byock, is an unfortunate side effect of medical advances. “We have enormous scientific prowess and remarkable diagnostic and treatment,” so that when you are admitted to the hospital, the system “moves you quickly towards the next diagnosis and then the next diagnosis after that for the next component problem in a whole picture that few people will see. It’s a dysfunctional system that feels like a conveyor belt. We have a disease-treatment system rather than a healthcare system caring for human beings.” Byock notes that the same system can lead doctors and patients to regard any reduction in treatment, or even accepting that patients are going to eventually die, as failure. There are amazing ways to combat disease and extend life. “That’s all well and good. The problem is, we have yet to make even one person immortal,” Byock concluded. While the fate of Obama Care hung in the balance, the ACO became the voluntary dance that nobody wanted to show up to too early. Defined by the Centers for Medicare and Medicaid Services (CMS) as “an organization of health care providers that agrees to be accountable for the quality, cost, and overall care of Medicare beneficiaries who are enrolled in the traditional fee-for-service program who are assigned to it,” ACOs (Accountable Care Organizations) were promoted as a bigger, better model that allowed providers to get paid in a number of ways (capitation, fee-for-service, shared savings) in return for managing health at the population level across a broader swathe of the healthcare spectrum. But ACOs were tough, requiring greater accountability with providers having to report on 33 different performance measures to ensure they’re not skimping on care. And then there was the little issue of whether reform would be repealed and make it all null and void. Well, a mere week and a half after John Roberts cast the tiebreaker to make the individual mandate — and essentially, Obama Care — a reality, the ACO program has doubled in size. Eighty-nine participants joined 27 existing ACOs in the program. “The Medicare ACO program opened for business in January, and already, more than 2.4 million beneficiaries are receiving care from providers participating in these important initiatives,” acting CMS Administrator Marilyn Tavenner said in a statement. According to the CMS, the selected ACO programs operate in a range of areas nationwide and nearly half are physician-led organizations that serve fewer than 10,000 beneficiaries, which indicates smaller organizations are interested in participating. Four hundred more organizations have already submitted a notice of intent to apply next month, according to the CMS. The application period is Aug. 1-Sept. 6, 2012 for organizations that want to participate in the Medicare shared-savings program starting in January 2013. Now that reform has the imprimatur of the Supreme Court judges, the next court that the Administration will have to focus its efforts on is the court of provider and public opinion. According to a survey of 24,000 U.S. physicians by Medscape, WebMD’s flagship site for medical professionals, only about 3% of physicians participate with ACOs ; only another 5% say that they plan to become involved in the coming year. 52% percent of physicians believe that ACOs will cause a decline in income, while 12% say they will have little or no effect. Overcoming that natural resistance to change may be the toughest part of putting the ACO in place. States must give detailed information to the federal government by November 16 – just 10 days after the 2012 presidential election – on how they intend to run their online insurance marketplaces, according to Kaiser Health News. States that miss the deadline — or can’t operate their own marketplaces – will have it done for them by the federal government, starting in January 2014. The marketplaces, which are mandated by the Patient Protection and Affordable Care Act (ACA), are designed to increase competition among insurers and make coverage more affordable. States can opt to run the exchanges, perform limited services, or yield control to the federal government. The Department of Health & Human Services (HHS) “will seek to harmonize…policies with existing state programs and laws wherever possible.” Although the guidance does not state whether there will be a governing board overseeing the federal exchanges, it does say the federally-overseen marketplaces will accept any insurer that meets the basic requirements. Consumer groups, such as the American Cancer Society Cancer Action Network, wanted the federal government to be more selective, in hopes that it would make insurers compete more on pricing and quality measures. Steve Larsen, the federal official overseeing the federal exchange creation, said the initial approach will be an open marketplace, although in the future, other options may be explored. States that operate their own exchanges are free to choose whichever model they prefer. While many states are moving forward – 34 have received federal grants to fund planning efforts – others are moving slowly or not at all. Six states — Illinois, Nevada, Oregon, South Dakota, Tennessee and Washington – recently received additional grants totaling more than $181 million. The ACA requires states to establish exchanges that offer federally subsidized health coverage to an estimated 16 million people who currently lack healthcare insurance. The exchanges let consumers purchase their insurance from an easily readable menu of competing plans, at premiums set on a sliding scale according to the buyer’s income. “What this shows is that states are making real progress in delivering quality, affordable health coverage to their residents and they want to be up and running by January 2014,” said Kathleen Sebelius, HHS Secretary. She said that 34 states — including some that want the ACA overturned — and the District of Columbia have accepted federal grant money to help establish the insurance exchanges. Approximately 15 states have moved to establish exchanges, either through legislation or executive order. HHS also released guidelines for helping states that might not be able to offer full exchange services by 2014 and for establishing federal exchanges in states that refuse to participate. According to officials, the administration will partner with state governments in two realms: certifying health insurance providers for the exchanges and helping consumers apply for coverage and enroll in the chosen plan. The National Active and Retired Federal Employees Association (NARFE) warned that the plan could shake the federal program, while asking seniors to pay more for healthcare. “This is a kill-two-birds-with-one-stone kind of proposal that would both bring down Medicare as we know it and threaten the stability of the FEHBP,” Joseph A. Beaudoin, NARFE president, said. Beaudoin said seniors should examine the proposal closely, because it throws open the doors of a stable healthcare program to millions of seniors currently enrolled in Medicare. “Given the current environment of budget attacks on federal employees, retirees and Medicare, the federal workforce and all Americans should be wary of plans like the one proposed today,” he said. Called the Congressional Health Care for Seniors Act (CHCSA), the plan’s supporters claim that it would save taxpayers $1 trillion in the first 10 years as well as provide enhanced healthcare benefits, choice, quality and outcomes by moving seniors into the FEHBP. How would it work? Federal employees can now choose from approximately 250 plans participating in FEHBP, including 20 nationwide plans. The large selection provides access to better doctors, better quality healthcare, and the ability to pick plans that best suit the person’s individual needs. The rationale also is that because Congress uses the plan, it must be the best in the country. Additionally, the legislation would set up a “high risk pool” for the costliest patients within the FEHBP. The federal government will directly reimburse healthcare plans for enrolling the most expensive five percent of patients, which keeps premiums low while allowing high-risk patients to get the same quality healthcare as every other enrollee – federal employees and seniors alike. If the legislation is passed, seniors could enroll in FEHBP starting in 2014. Paul acknowledges that adding seniors to the federal program would drive costs up for its current 8.5 million enrollees by approximately 24 percent. “Federal employees are the one group of people who may have a legitimate argument with the Congressional Health Care Plan for Seniors,” according to Paul’s synopsis. “Asking them to share their healthcare with the elderly will cause their premiums to increase.” Not surprisingly, as soon as the legislation was announced, the National Active and Retired Federal Employees Association expressed concerns that the bill would destabilize the federal workers’ program. In one of the most significant rulings in recent memory (perhaps since the awarding of the Presidency to George W. Bush in 2000), the Supreme Court upheld President Obama‘s health care law in a nuanced interpretation of Federal versus states’ rights. The historic 5-4 decision will affect the way 30 million uninsured Americans receive and pay for their personal medical care. Chief Justice John Roberts cast the deciding vote (another surprise since most expected it to be Justice Kennedy if the law passed) and wrote the opinion. The key factor was classifying the penalty for not abiding by the individual mandate — the requirement that most Americans buy health insurance or pay a fine — as a tax and therefore constitutional. “Because the Constitution permits such a tax, it is not our role to forbid it, or to pass upon its wisdom or fairness,” wrote Roberts. The court’s four liberal justices, Stephen Breyer, Ruth Bader Ginsburg, Elena Kagan and Sonia Sotomayor, joined Roberts in the outcome; Conservative Justices Samuel Alito, Anthony Kennedy, Antonin Scalia and Clarence Thomas dissented.